Win Tickets to The Crayola Experience, a Giftable Experience! For the upcoming holidays we are gifting an experience to The Crayola Experience. Enter to win tickets to the Crayola Experience. Art Comes Alive at The Crayola Experience! Details, photos, and more from our visit to the Crayola Experience. We’re also giving away Crayola Experience tickets and sharing a discount coupon code. Our review of the TownePlace Suites Bethlehem Easton with pictures and video as part of our Family Travel to the Lehigh Valley series. 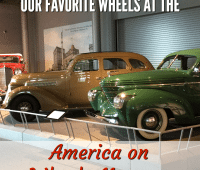 We’re sharing details, pictures, and videos from our visit to the America on Wheels Museum, a great Lehigh Valley family attraction as part of our Family Travel to the Lehigh Valley series. 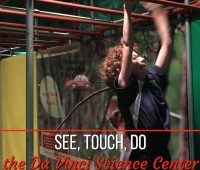 We’re sharing details, pictures, and videos from our visit to the Da Vinci Science Center as part of our Family Travel to the Lehigh Valley series. 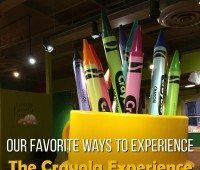 We’re sharing details, pictures, and videos from our visit to the Crayola Experience as part of our Family Travel to the Lehigh Valley series.